Out of all the Snapchat filters available, none is more popular than the puppy. 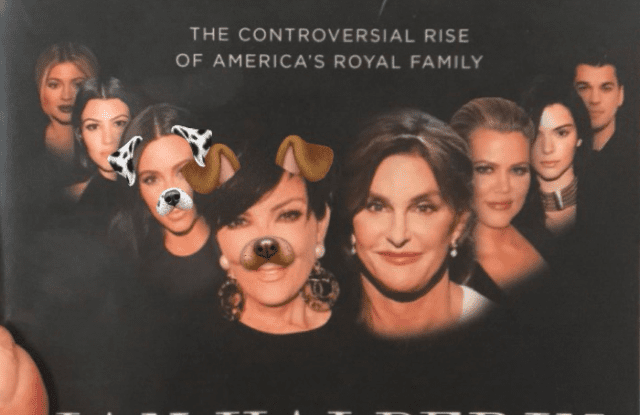 And, after Snapchat fan and Famous Person Kim Kardashian mentioned that the regular puppy wasn’t doing it for her, Snapchat has delivered. 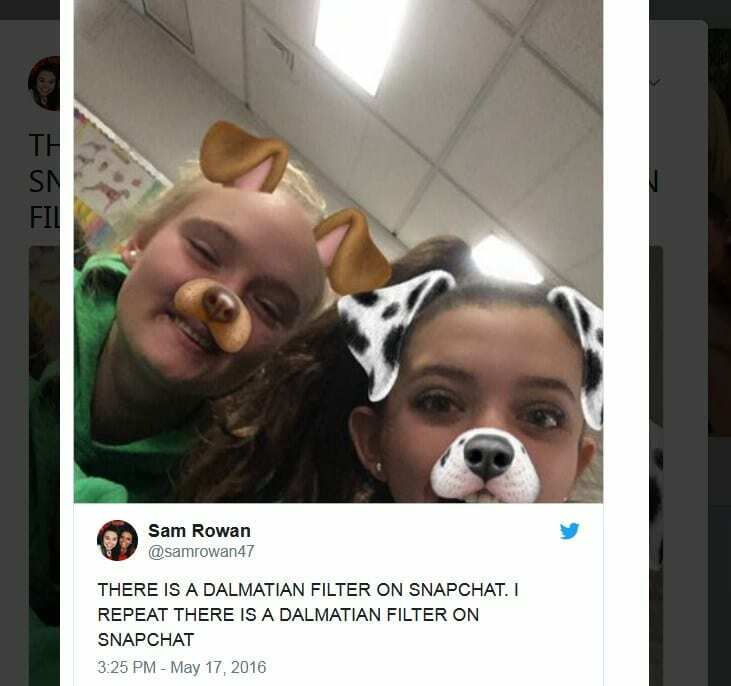 So, how do you get the new dalmatian Snapchat filter for yourself? All you need is a friend, some good lighting and a teensy bit of patience. To access the filter, all you need to is open Snapchat and settle in to take a regular selfie with the puppy filter. Marvel at how beautiful the puppy filter makes you look. Once you’ve found your angles, your light and made sure your cheekbones are poppin’ the way you want them to be, grab a friend/book with a person’s face on it/old picture of yourself and drag them into frame. With a little bit of luck and some patience, the spotted ears and nose should show up over the second picture in the frame. Emboldened by this new discovery and always down for a way to further irritate the people I snap the most, I scanned my empty apartment for anything with a face that wasn’t the cat that I could use to test this out. As everyone I live with is at work and my cat was uncooperative at best, I grabbed the first thing I could find, which was my copy of the unauthorized Beyonce biography that I read and couldn’t quite finish. Note how the filter ignored Beyonce’s face and instead put the dalmatian ears on my left eye. Cool, cool. Next up was my copy of Mama Lola: A Vodou Priestess in Brooklyn which is an excellent, well-researched book that definitely deserves your attention if you’re interested in gaining a deeper understanding of the much-maligned religion, but anyway! Snapchat didn’t recognize that there was a face on the book and thought it’d be cute to double dog me instead. Finally! Success. After realizing that every other book in my apartment was going to be unsuitable for this endeavor, I found this picture of myself, put it in frame and finally, finally, it worked. Naturally, this works best when two real human beings are in the photo. Imagine all the new ways to irritate loved ones, strangers and random passers-by. Put dalmatian ears on the stealth-selfie you take with your mom looking mad as hell. Send a sext with a picture of Meryl Streep as dalmatian in the background. See if Snapchat’s filters will find a face in a picture of Zac Efron’s glistening abs. The possibilities are endless. Knock yourself out.